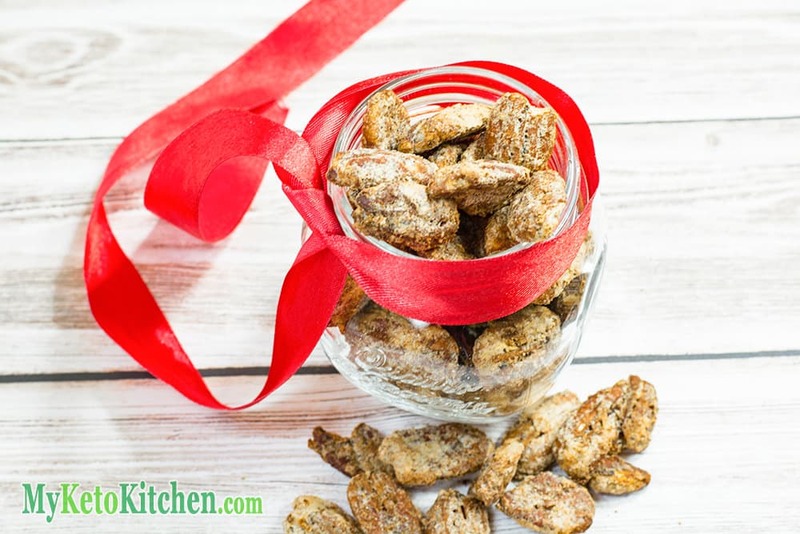 Keto Pecans - Coated Sweet & Spicy and Sugar-Free! 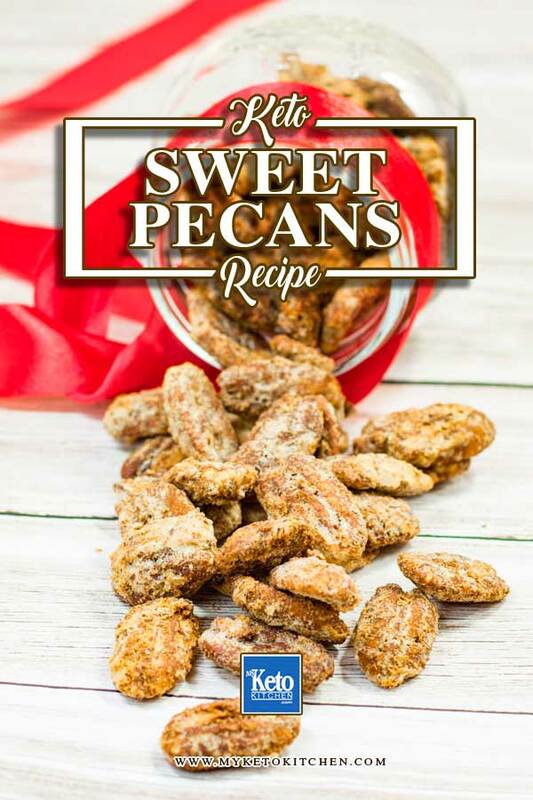 Home » Recipes » Keto Pecans – Coated Sweet & Spicy and Sugar-Free! Keto Pecans – Coated Sweet & Spicy yet Sugar-Free! 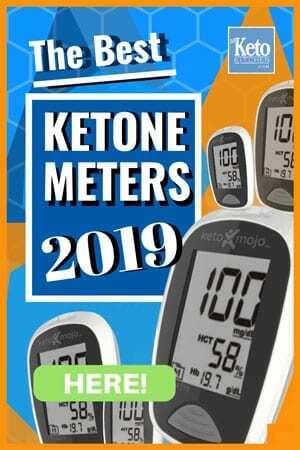 Keto Pecans – Coated Sweet & Spicy and Sugar-Free! They’re very easy to throw together and so tasty. Pecan nuts are high in fat and fiber, as well as being full of vitamins and minerals. Their omega 6 to omega 3 ratio is quite high, so be sure to enjoy in moderation. Include some extra omega 3 fatty acids (fish oil) in your diet to balance them out. 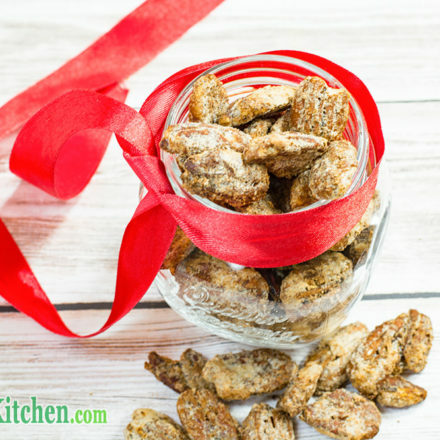 These coated keto pecans make lovely homemade gifts. Place them into a cute airtight jar and tie with a red ribbon. Each serve is 30g/1oz (7 serves). The pecans can be stored in an airtight jar for up to 3 weeks – if they last that long! In a mixing bowl, whisk the egg white and water into soft peaks. Add all ingredients except the pecans and gently fold through the egg whites. Add the pecans and fold through until evenly coated. Spread the pecans onto a cookie sheet lined with parchment paper. Bake for 15-20 minutes, stirring every 5 minutes. Allow to harden and cool at room temperature for 1 hour. Store the pecans in an airtight jar for up to 3 weeks. Buying flavored nuts to snack on can become costly, making your own at home is easy and can help you keep on budget. Our Sugar Free Sweet Spiced Pecans are very easy to throw together and very tasty. To make a larger batch of this coated keto pecans recipe simply adjust the serving above. Both Flaxseeds and Chia Seeds are very high in Omega 3’s. You could enjoy them with our Chai Chia Pudding or some tasty Flaxseed Crackers. These turned out great. I doubled the recipe and used large pecans we harvested this fall from a local park. Really tasty! It’s wonderful that you have a tree close by! Thank you for your kind words.